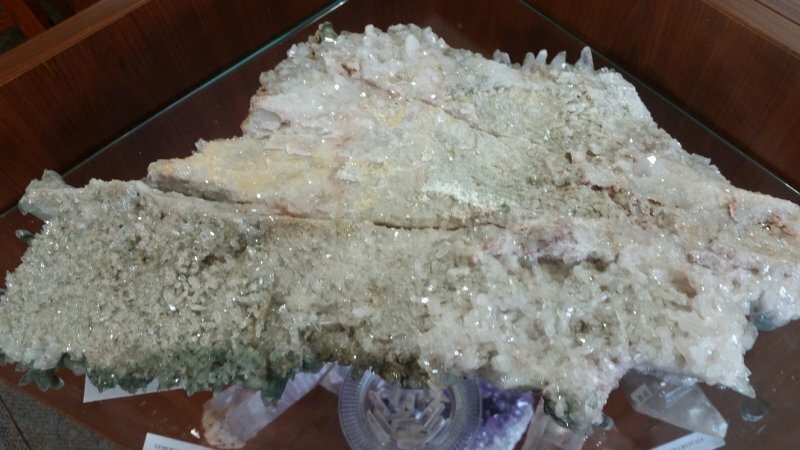 This piece has green Chlorite Quartz crystals on one side and clear Quartz crystals on the other. 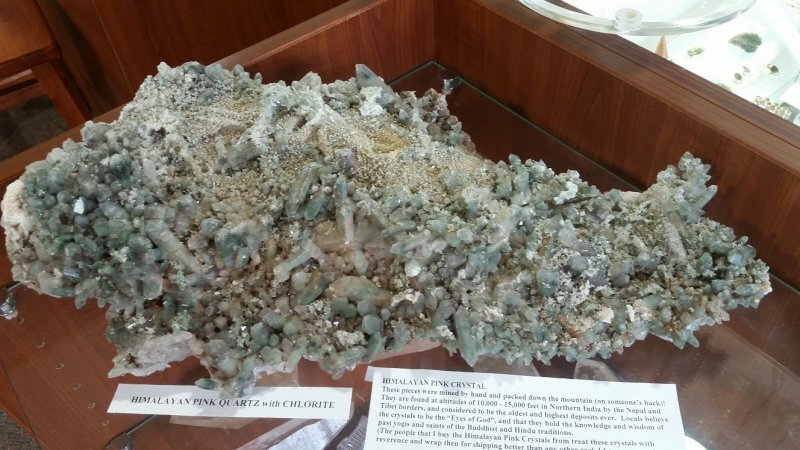 It was mined by hand in Northern India by the Nepal and Tibet borders. These crystals are considered to be the oldest and highest deposits ever. Locals believe that the crystals are the "Eyes of God", and that they hold the knowledge and wisdom of past yogis and saints of the Buddhist and Hindu traditions. It measures 17 inches by 9 1/2 inches.